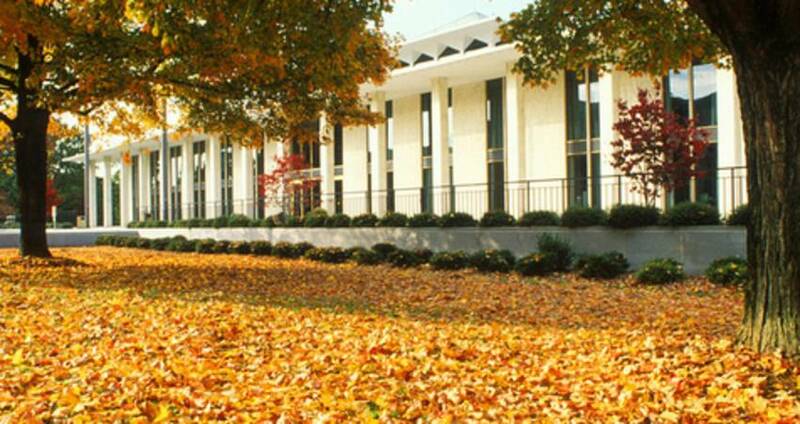 30 Hand-Picked Experiences for Your Fall Bucket List in Raleigh, N.C. So long summer, hello fall! Show of hands—who&apos;s ready for falling leaves, cooler weather, tailgating parties, N.C. State Fair adventures, museum exploring and all pumpkin everything? We have big plans for the coming months in Raleigh, N.C.! To jump-start your plans and keep you busy during this gorgeous time of year, we&apos;ve put together this list of 30 items for your fall bucket list, perfect for planning a trip to Raleigh with friends and family. Need more inspiration? Follow us on Instagram or give us a shout on Twitter—we&apos;re here to help! 1. Tour Raleigh Rum Company, local distillers of three styles of small batch, handcrafted rum (a white, a sweet dark and a spiced). Each Sat. they offer free tours and tastings at the distillery just east of downtown Raleigh—no reservations required! You can also purchase bottles of rum from the distillery, and you&apos;ll find ways to dress up or dress down the rum with these Raleigh-themed recipes on their website. 2. Take an afternoon or an evening to experience all that Brewery Bhavana has to offer. The four-in-one brewery, bookstore, restaurant and flower shop has been a massive success since opening earlier this year, earning nationwide attention recently when Bon Appétit named the downtown Raleigh hotspot one of the 10 best new restaurants in America. Pro tip: Reservations are recommended, and make sure to spring for at least one plate of pork bao to share (don&apos;t skip out on the beer, either!). 3. Check out the latest gem of an addition to the Raleigh arts scene, North Carolina State University&apos;s Gregg Museum of Art & Design. The free collecting and exhibiting museum with more than 34,000 objects celebrated their grand re-opening late this summer in a beautiful new building on the edge of campus just outside of downtown Raleigh. 4. Take advantage of ideal running and cycling weather by exploring William B. Umstead State Park, N.C.&apos;s most visited state park. One popular way to do it: park your car at the brand-new Old Reedy Creek Rd. Trailhead and run up the hill into Umstead State Park on the Reedy Creek multi-use trail. You can follow this trail on foot or bicycle for five miles—conquering some semi-tough rolling hills along the way—before reaching the park&apos;s edge. A total of 10 miles out-and-back is a great workout, but you can also plan your own route using the park map. 5. Head to Big Boss Brewing Company&apos;s 7th Annual Casktoberfest (10/5), where more than 40 one-of-a-kind cask ales will be on hand. 6. Like your food with a bit of a kick to it? Then tackle the Hot Chicken Sandwich from chef Ashley Christensen&apos;s Beasley&apos;s Chicken + Honey in downtown Raleigh—it&apos;s made with dried Carolina Reaper peppers, the hottest pepper in the world, according to Guinness World Records. 7. Get in the spooky spirit and settle in for a brand-new performance from Carolina Ballet (celebrating their 20th year during the 2017-2018 season!). The Legend of Sleepy Hollow & Other Haunted Tales (10/12-29) is expected to have "the right mix of fright and delight for fans of the supernatural, both young and old." 8. Treat yourself in the absolute best way possible—book a spa day at the five-star Umstead Hotel and Spa! The 16,000-square-foot relaxation and rejuvenation space offers body treatments, message therapies, facial treatments, manicures and pedicures, plus allows you to take advantage of plenty of serene lounges, a whirlpool tub, sauna, steamroom, fitness facility and more. 9. Visit Raleigh-area breweries and earn rewards! Download and print your Raleigh Beer Trail Passport, then make your way around the nearly 30 local breweries—collect 15 or more stamps along the way and you&apos;ll have earned a stainless steel bottle opener, a Raleigh Beer Trail pint glass hugger and a limited edition T-shirt. 10. Discover for yourself how "Nothing Could Be Finer" than to be at the N.C. State Fair (10/12-22)—the 150th anniversary event is this year! Soar above the midway lights on the State Fair Flyer, stuff yourself with cotton candy and deep-fried goodies, grab a flight of beer or wine at the brand-new Our State Public House, catch any of the more than 118 totally-free concerts and make sure to stick around for a nightcap of incredible fireworks each evening. 11. Put on your red and white, pack up your lawn chairs and coolers and head to Carter-Finley Stadium to get your tailgate on before rooting for the North Carolina State University Wolfpack football team. Show up early and be prepared to get loud—we take our football (and tailgating) seriously! Check the schedule here. 12. And speaking of tailgating...we do it for hockey games, too! The puck drops on another season for the NHL&apos;s Carolina Hurricanes in Oct.—be part of the #Redvolution and check on the on-ice action in person! Full schedule here. 13. A new season means new goodies at the State Farmers Market, Raleigh—time to pick up those pumpkins and stock up on apples! More than 30,000 square feet of fresh produce, plants and other speciality items from local farms await. 14. Revel in wall-to-wall bluegrass music at the end of Sept. as International Bluegrass Music Association&apos;s World of Bluegrass rolls into town for the fifth consecutive year. PNC presents Wide Open Bluegrass (9/29-30), the finale of the week-long bluegrass celebration, features more than 100 bands across seven stages and draws more than 200,000 music fans to downtown Raleigh. It includes ticketed concerts plus the free StreetFest! Check out our 10 reasons you need to be there. 15. Since bluegrass and barbecue go hand-in-hand this time of year in Raleigh, hop over to The Fiction Kitchen and try a plate of the low-and-slow cooked vegan goodness (yea, vegan!) from chef Caroline Morrison. We wouldn&apos;t steer you wrong, but you don&apos;t have to take our word for it—Food & Wine recently raved about the entire menu. 16. Spend a day in the town of Wendell—just east of Raleigh—where you&apos;ll find buzzed-about coffee shops and a hidden nature preserve that acts as the perfect getaway for kayakers. 17. Grab your friends and family and head to see the North Carolina Chinese Lantern Festival (opens 11/24) at Koka Booth Amphitheatre in Cary, where hundreds of lanterns and more than 15,000 LED lights make up more than 20 incredible glowing displays. Check out our event guide from last year here (updated details coming soon!). 18. Spend an evening sipping cocktails and enjoying stunning views at the newest (and tallest) rooftop bar in Raleigh, N.C.—10th & Terrace, now open atop the Residence Inn Downtown Raleigh in the heart of the city. Looking for more unique spots? Check out our guide to the area&apos;s rooftop, hidden and underground bars! 19. Get your pumpkin spice latte fix from Bittersweet, a downtown Raleigh coffee, cocktail and dessert lounge that&apos;s just as popular late at night on weekends as it is early in the mornings. Also, hit up nearby coffee favorites Morning Times, Sir Walter Coffee, 42 & Lawrence and Videri Chocolate Factory for further caffeine goodness. 20. Put your dancing shoes on and get ready to catch big-name live music acts headed this way—The Head and the Heart (10/2), Kid Cudi (10/11), Bruno Mars (10/12) and way, way more! Keep up with the most calendar for full details on upcoming shows. 21. Work up an appetite on the dance floor? It&apos;s time for tacos! Head to Cantina 18 in Cameron Village where chef Jason Smith&apos;s Southwestern fare with a Southern drawl is a huge hit thanks to taco platters that include items like the Crispy Sweet Chili-Lime Pamlico Sound Shrimp, Crispy Blackened Carolina Classics fish and BBQ Duck Confit creations. 22. Get lost in a sea of corn as you take on Ken&apos;s Korny Corn Maze, a fall tradition for more than 15 years in the town of Garner. Navigating the nearly 2.5-miles of twists and turns through the six-foot-tall corn stalks typically takes between 60 and 75 minutes to complete. For a handful of nights in late Oct., the maze turns into Harvested Farm Nightmares, where you&apos;ll be chased by brain-eating zombies and escaped convicts—it&apos;s the scariest spot around by a long shot (seriously, here&apos;s what you&apos;re up against)! 23. Stake out your spot along the 1.4-mile route of the 73rd Annual WRAL Christmas Parade Presented by Shop Local Raleigh (11/18), where nearly 60,000 spectators (and pets!) will watch marching bands, dancers, classic cars, superheroes and Santa Claus pass by. The parade is the largest Christmas parade between Atlanta and Washington, D.C.
24. Challenge yourself at TreeRunner Adventure, a new three-hour, seven-course adventure park that lets you conquer zip lines, Tarzan swings, suspension bridges and more. It&apos;s fit for all ages and abilities as the courses vary by difficulty (and the toughest ones will have your palms sweating and legs shaking!). 25. Make a day out of the Annual North Hills Tree Lighting Celebration (11/18)—an equally-great event for families or a fun date idea—where sledding slopes, trackless train rides, bounce houses and more will be set up to go along with live music and a visit from Santa Claus before a 41-foot-tall Christmas tree is lit. 26. Head to Trophy Brewing Company for...desserts?! Well known among locals and visitors as having some of the best pizza and beer in town, those that have been paying close attention will also know that Trophy serves up a limited selection of super-tasty, always-rotating seasonal desserts—not your typical brewery! 27. Visit CAM Raleigh to check out artist Dorian Lynde&apos;s critically-acclaimed "No Damsel" exhibit (with fresh new murals coming in Oct.! ), head over to the North Carolina Musuem of Art to explore the newly-expanded African Art Gallery, and don&apos;t miss out on the featured exhibition, "RACE: Are We So Different?" (through 10/22), before its run ends at the North Carolina Museum of Natural Sciences. 28. Get going on your holiday shopping (start early this year—you can do it!) by heading to Moon and Lola (for the jewelry lover), Holly Aiken--Stitch (for the "can&apos;t have too many purses/bags" person), Raleigh Denim Workshop and Lumina Clothing Co. (for the most fashionable), DECO Raleigh (for unique and eclectic gifts from local makers) and House of Swank Clothing Company (for the softest, coolest tees around). 29. Dig in to some pizza! You&apos;ll find no shortage of great slices around town (hit us up on Twitter if you&apos;re a serious foodie needing expert guidance), but we&apos;ll recommend three newcomers (all serving vaguely Neapolitan style pies) that have already earned rave reviews here: Pizza La Stella in downtown Raleigh, Pizzeria Faulisi in downtown Cary and Oakwood Pizza Box in Raleigh&apos;s hip Person St. neighborhood on the north edge of downtown. 30. Save the date for two annual favorite events at PNC Arena: Disney On Ice: Dare to Dream (12/6-10) and Trans-Siberian Orchestra: The Ghosts of Christmas Eve (12/13). Want to stay up on more fun things to do throughout the year? Subscribe to our monthly visitRaleigh the E-magazine e-newsletter, here!